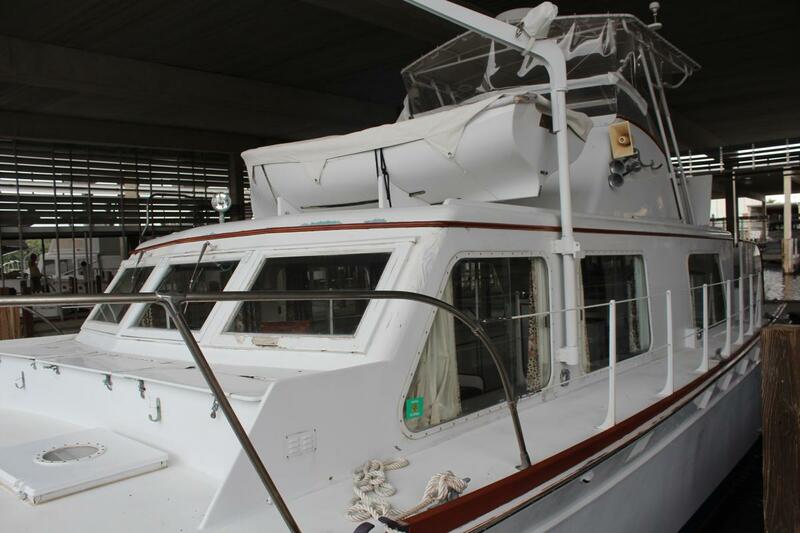 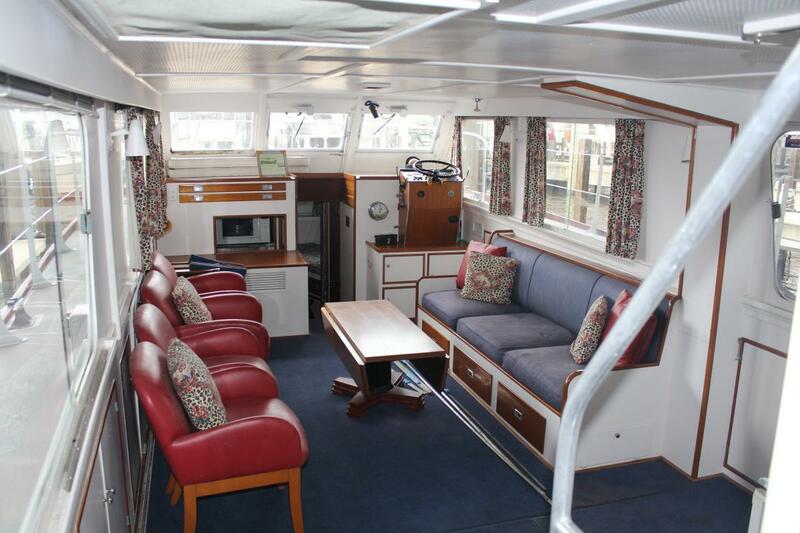 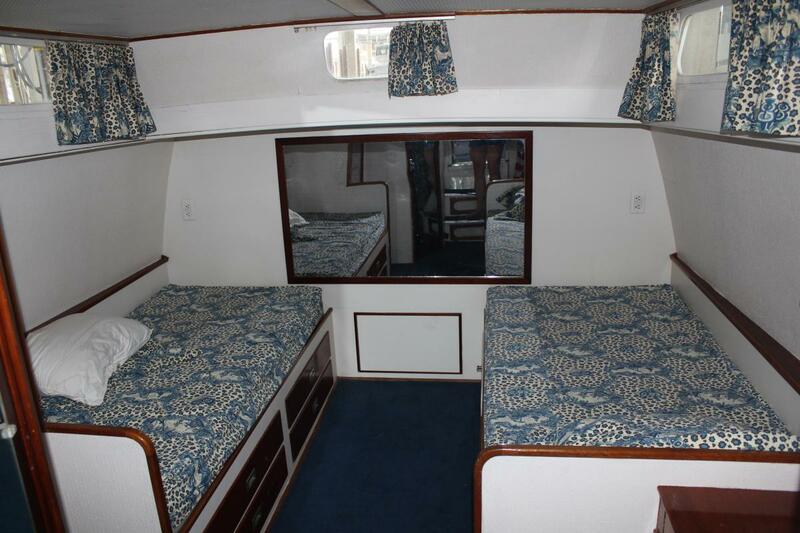 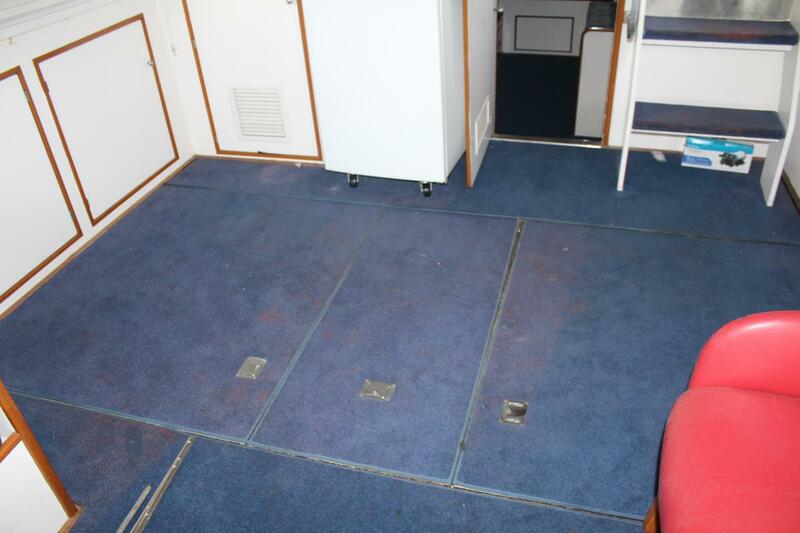 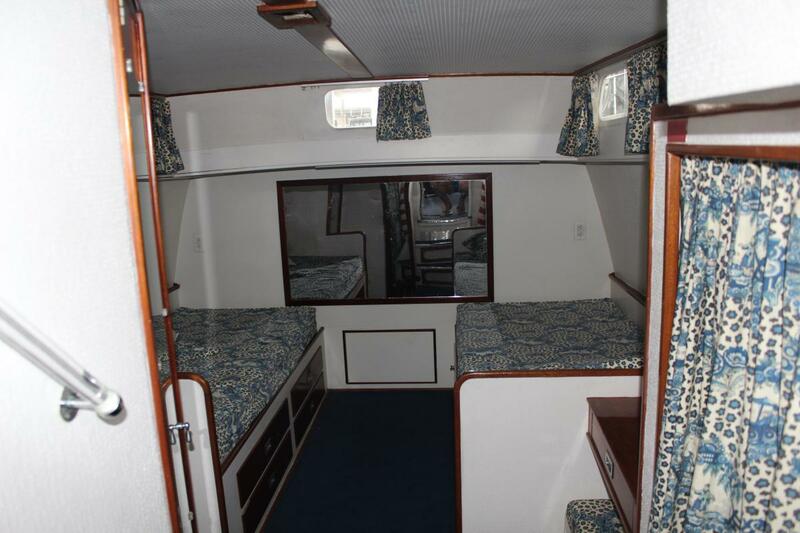 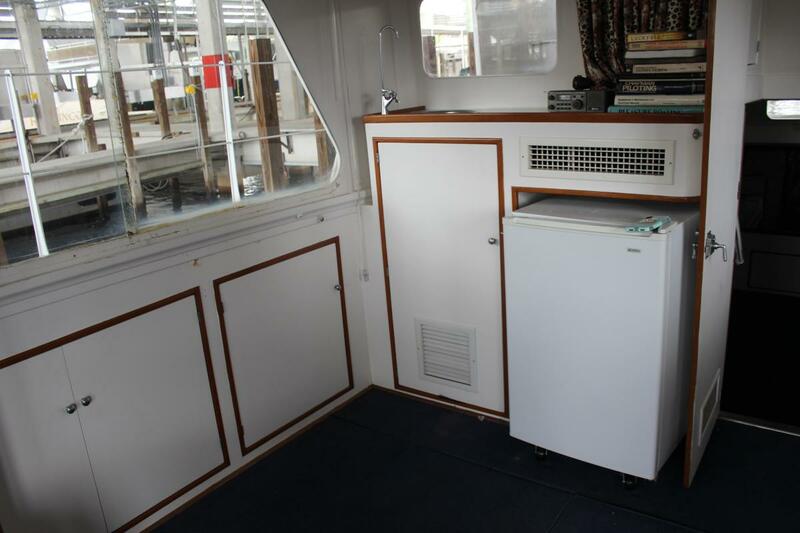 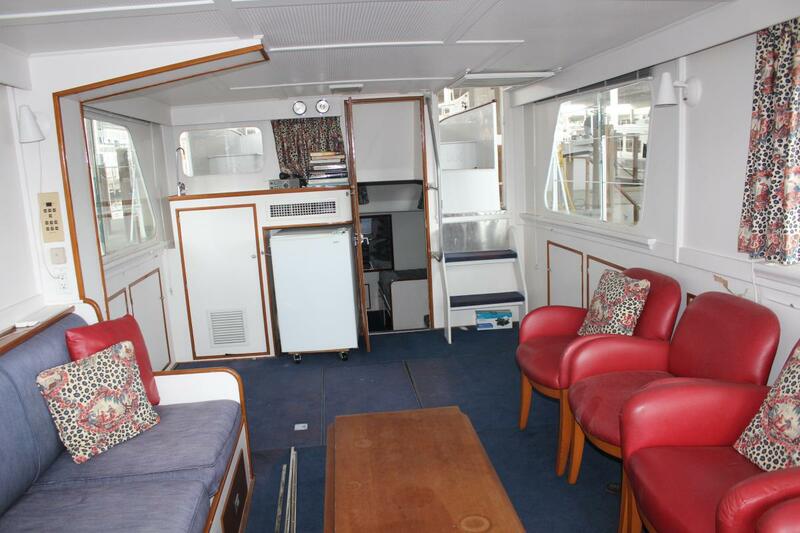 This Huckins has tremendous history and potential, but is currently in need of a partial refit. She is powered with reliable 3208 CATs (hour meter reads 338) and her hull is sound. Unique to Huckins Yacht, this boat has a mid-ship engine room under the main salon with 18' propeller shafts instead of the usual v-drive configuration. 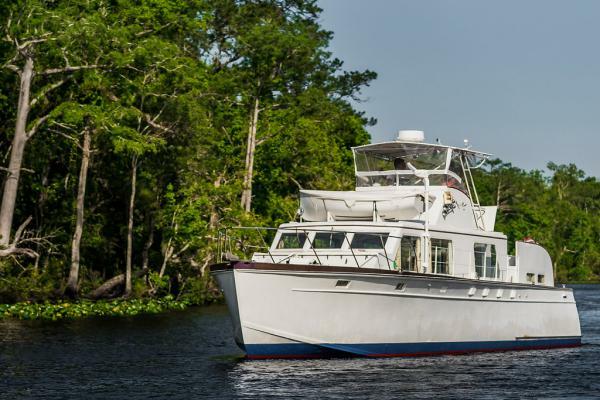 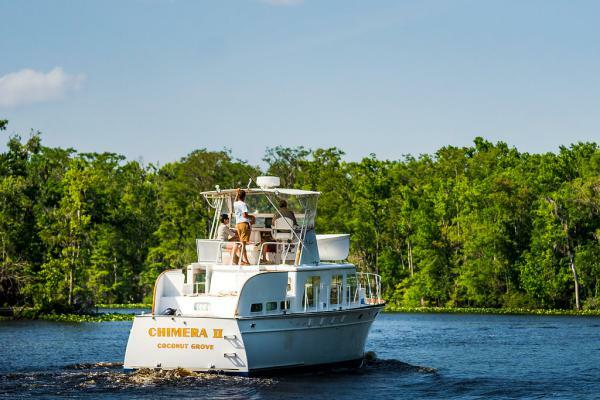 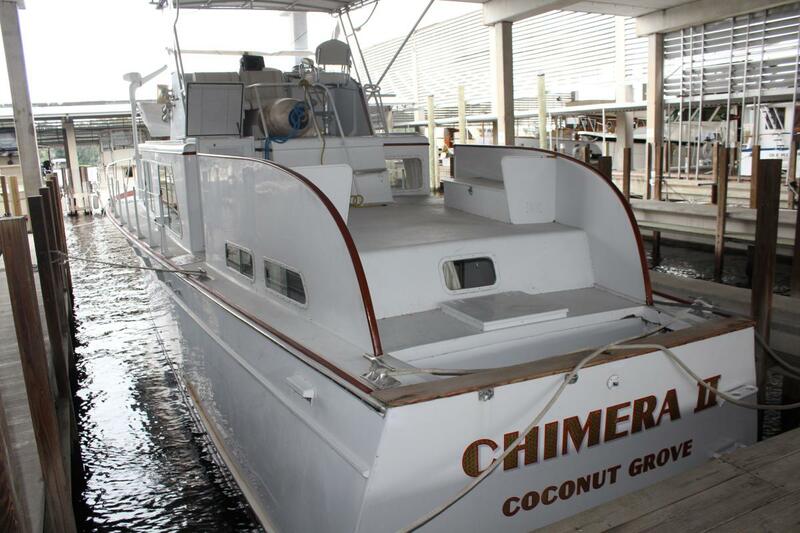 Her work list is mostly cosmetic, to include: fix areas of rot (deck boxes, front windshield, stbd side of master stateroom), new soft goods, and interior and exterior paint. 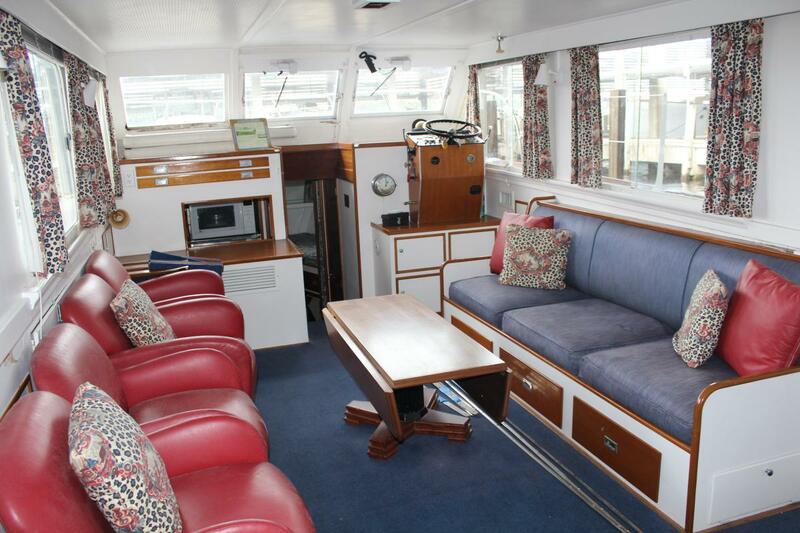 The deckhouse and lounge deck are on one level, providing 18 ft of living space! 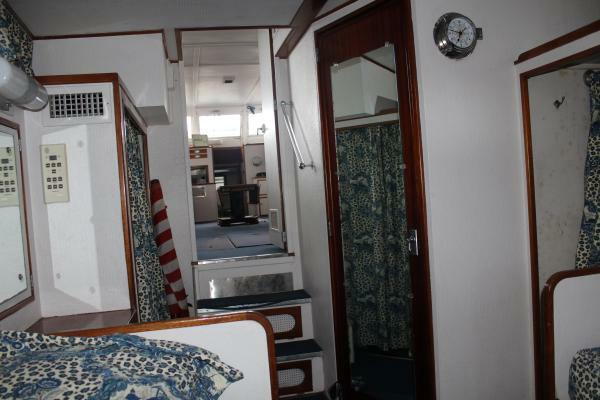 Arranged to sleep six in double staterooms forward and aft, lounge-berth and folding berth in deckhouse. Dual control, flybridge with bimini top and convertible seat-lounges. 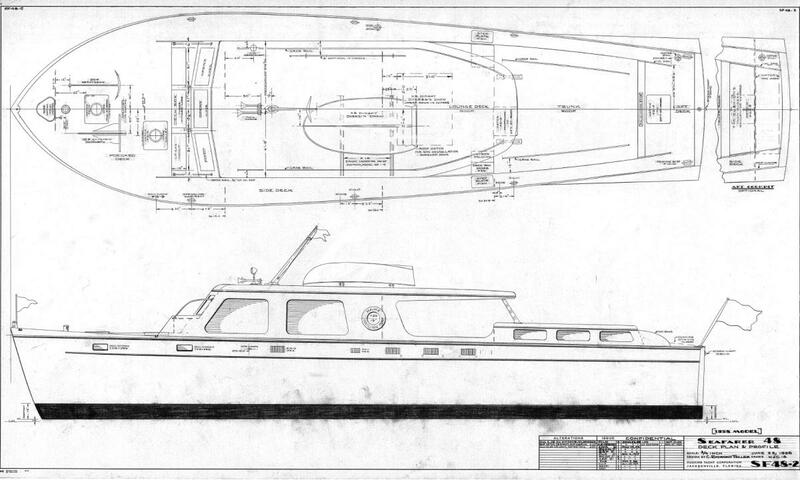 The elements are all pure Art Deco. 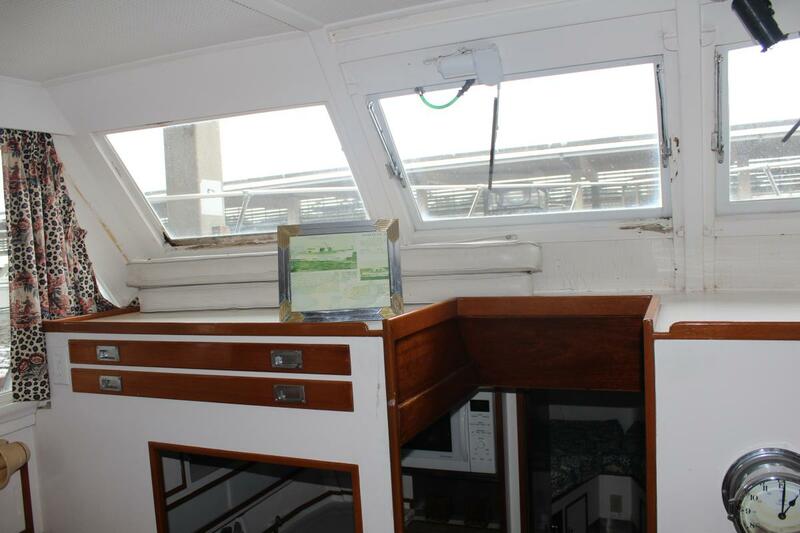 The lights in the salon, as everywhere else in the boat, are authentic 1950s fixtures. 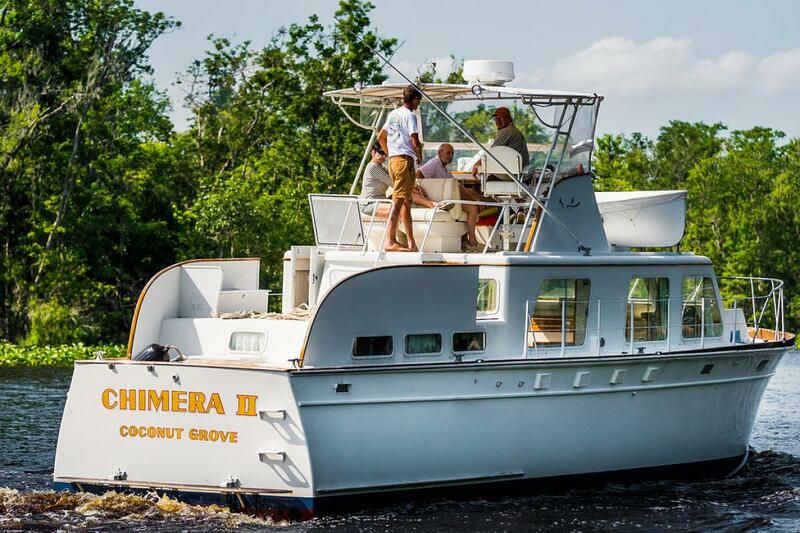 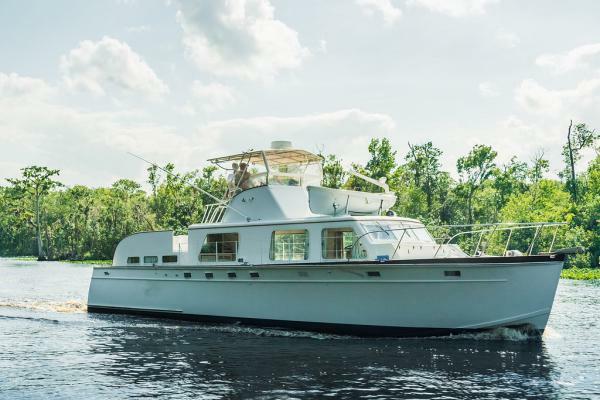 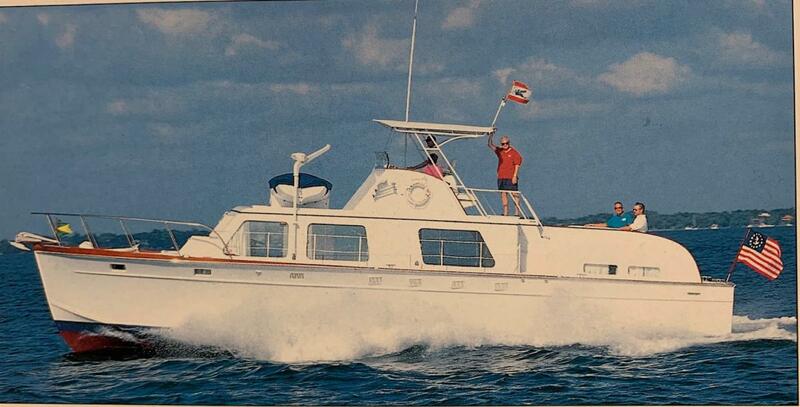 Originally built with the intention of adding a flybridge at a later date, Huckins installed one for the second owner in 1964, at the same time as the salon was enclosed. The hull was completely fiberglassed by Huckins in 1969 and drip rail wings and dunnage boxes were also added during this time. 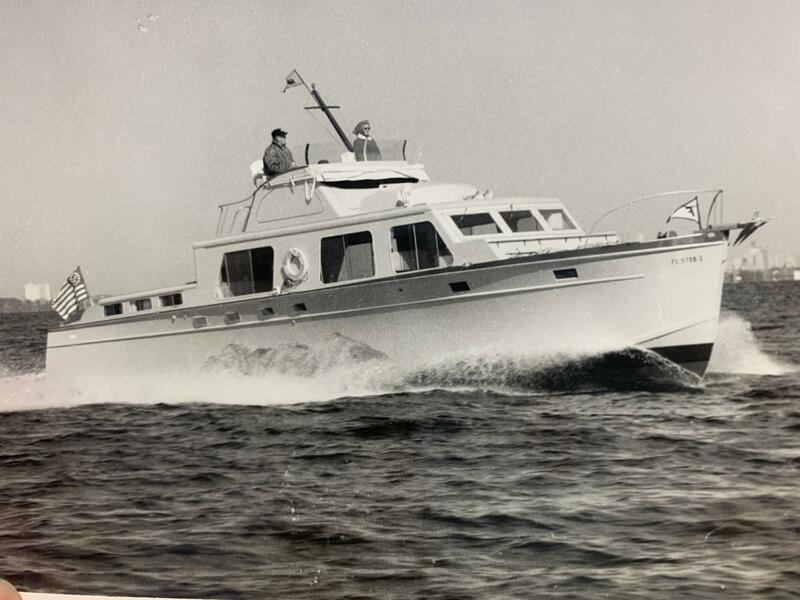 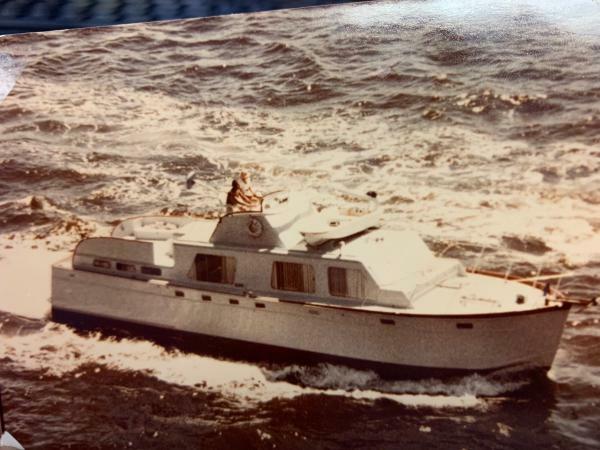 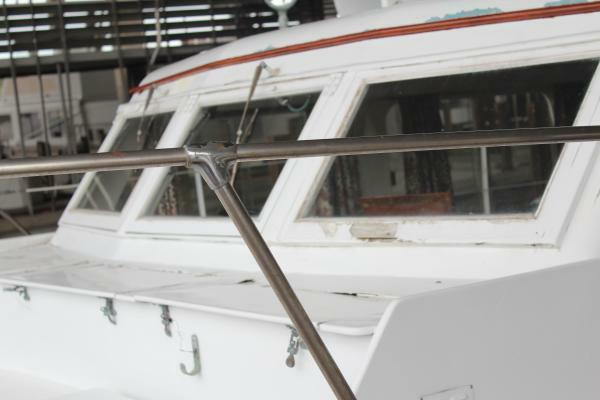 In 1985 Huckins unzipped the bottom and put on a new one, repowered the boat with her lightweight CATs, and installed a permanent bimini to the f/b. Her most recent restoration was in 2002, and she won the spectators choice award at Ocean Reefs vintage weekend. 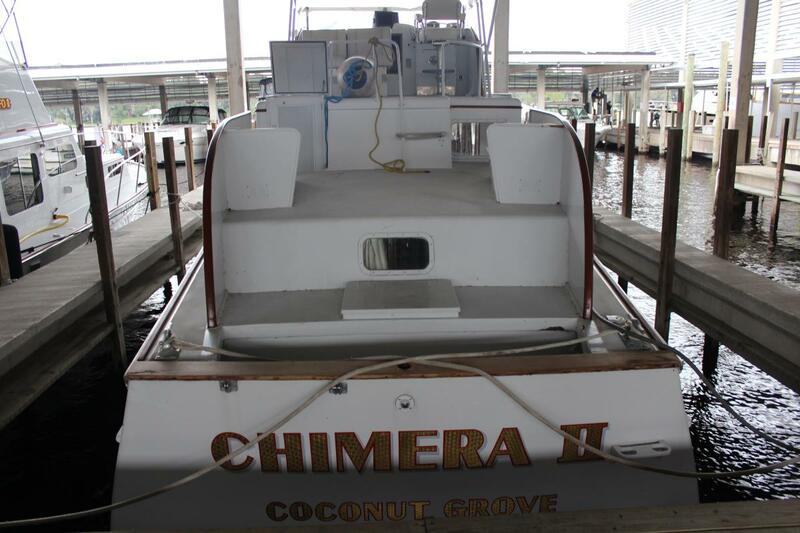 Hauled for bottom job in 9/2017. 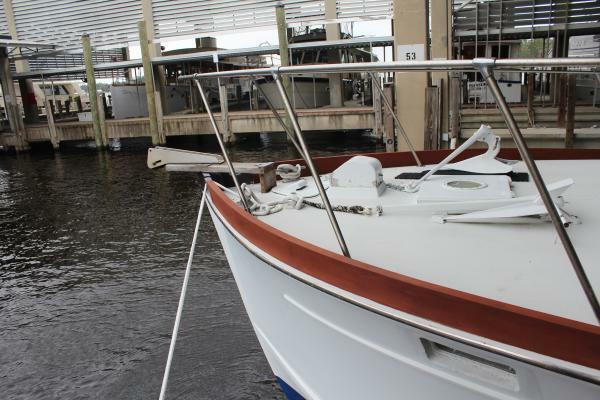 She is currently docked undercover in Jacksonville, Florida just waiting for someone who understands her pedigree and values her work of art.